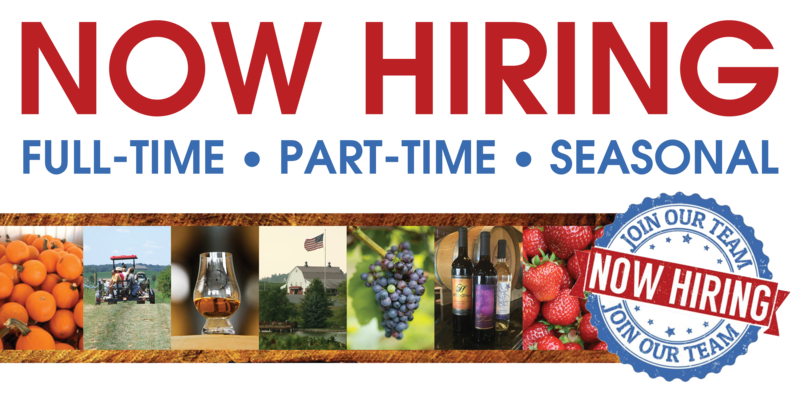 Want to consider a job opportunity at Huber’s Orchard, Winery & Vineyards? If you are a qualified individual with a disability, you may request a reasonable accommodation if you are unable or limited in your ability to access job openings or apply for a job on this site as a result of your disability. You can request accommodations by contacting a Human Resources associate at [email protected], or by calling 812.923.9463. Applicants with disabilities may also speak with Huber’s Orchard & Winery hiring coordinators in person to request and arrange for accommodations. If you need assistance to accommodate a disability, you may request an accommodation at any time. Any applicant, regardless of disability or limitation, may also visit us and apply in person for any open position. We are located at 19816 Huber Rd, Borden, IN and can assist walk-in applicants in our Business Office Monday-Friday between the hours of 10am- 4pm.